Some of Scotland’s most iconic, rural tourist sites will receive funding for new facilities to further enhance the visitor experience. 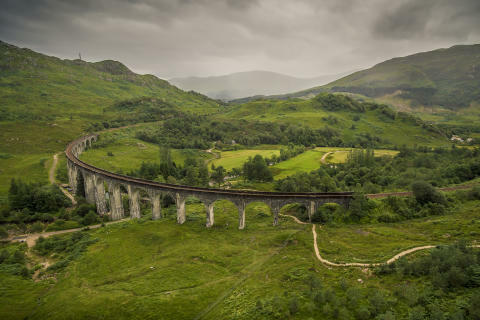 Tourism Secretary Fiona Hyslop announced the funding on a visit to Glenfinnan Viaduct, which has seen an influx of visitors since featuring in the Harry Potter films. She said: “The growing popularity of our stunning natural scenery and rich historical sites is great for bringing jobs and investment to our communities but can also put pressure on communities, services, transport and facilities - particularly in rural areas. Malcolm Roughead chief executive of VisitScotland said: “Due to the continued success of tourism, it is crucial that we address those pinch points already identified and futureproof those areas where demand is growing. The Scottish Government Rural Tourism Infrastructure Fund (RTIF) will help these communities improve their facilities and enhance their offering to welcome more visitors in the future. 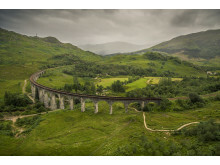 Chair of the Highland Council’s Environment, Development and Infrastructure Committee, Councillor Allan Henderson said: “The Glenfinnan Viaduct is one of the Highlands’ most iconic attractions, most recently recognised for its part in the Harry Potter films, as well as MacAlpine’s first major construction with concrete. “Glenfinnan is also a popular destination because of the historic associations with Bonnie Prince Charlie and the Jacobite rebellion, meaning large numbers also visit the National Trust for Scotland Visitor Centre and the associated Jacobite Monument. With the overall number of visitors to Highland increasing, this has taken the parking issues to unsustainable levels which are causing major congestion and safety issues on the A830 trunk road which splits both sites. The fund which was administered by VisitScotland was open to local authorities to apply on behalf of their communities, and was aimed at funding infrastructure improvements such as parking, camping, visitor facilities and recycling points. A total £6 million investment will be split between 2018-19 and 2019-20. The full list of recipients of the Rural Tourism Infrastructure Fund is available from VisitScotland HERE with all funding subject to conditions. Three pilots projects in Skye and Orkney received a share of £480,000 earlier this year.